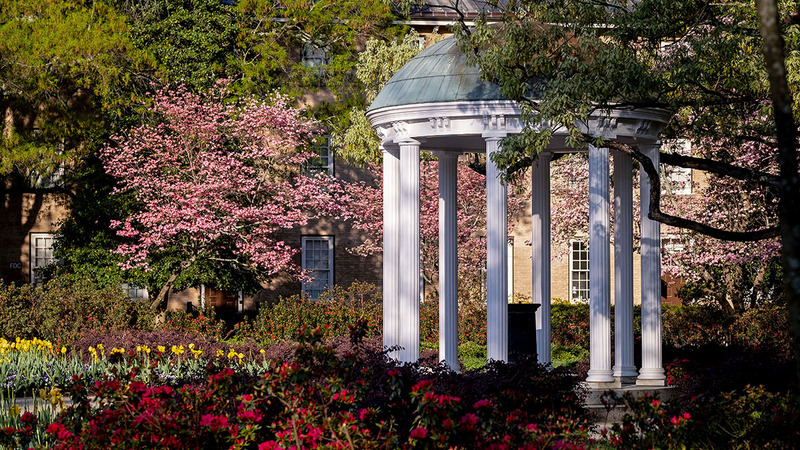 If you’ve ever wanted to know how popular you may be, Carolina psychology professor Mitch Prinstein can tell you. He wrote the book on it. His book, “Popular: Finding Happiness and Success in a World That Cares Too Much About the Wrong Kinds of Relationships,” examines how our popularity affects success, relationships and happiness — and why likability isn’t the same thing as status. 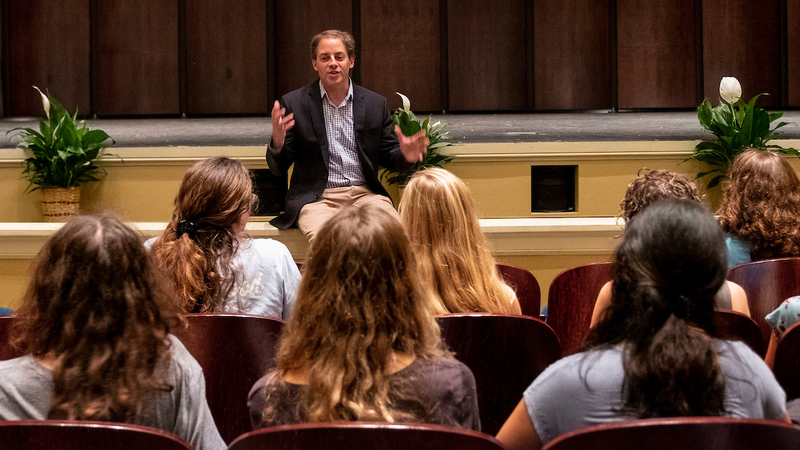 Prinstein, whose book was selected for the Carolina Summer Reading Program, discussed his research with students, faculty and staff at Memorial Hall on Aug. 21. 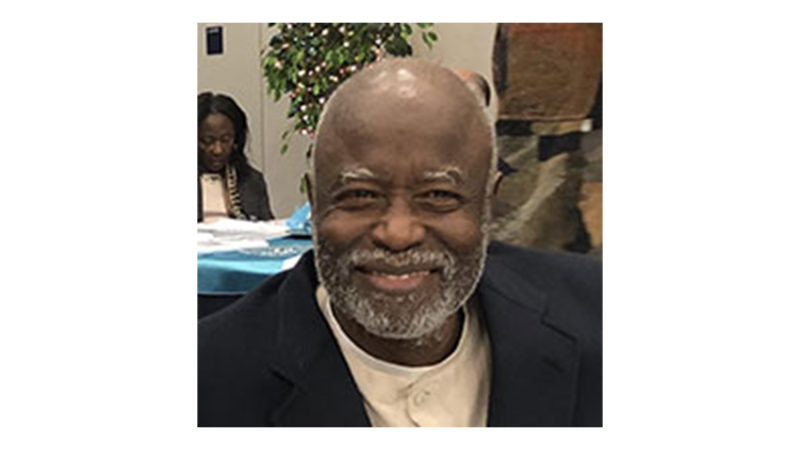 The lecture, sponsored by Student Affairs and the Office of Undergraduate Education, commemorated the 20th anniversary of the reading program. The first-year and transfer students who were encouraged to read the book as part of the annual reading program participated in small-group discussions earlier in the day. Talking to a larger crowd in Memorial Hall, Prinstein’s lecture offered insights into how popularity plays out in college life. 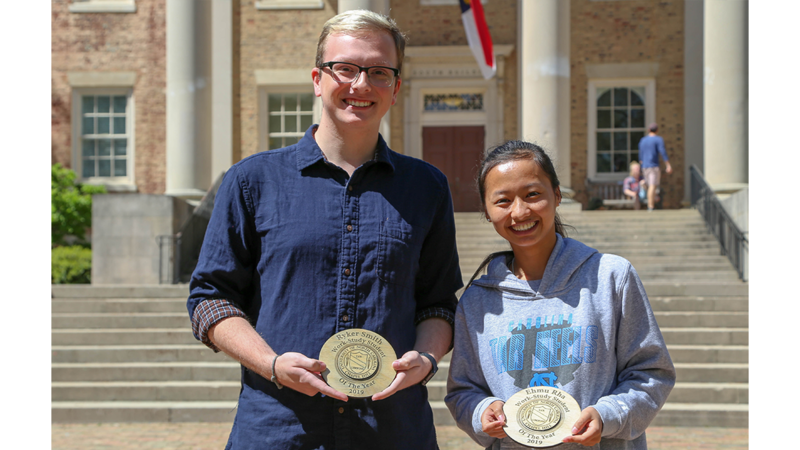 The discussion also provided students the opportunity to reflect on their social interactions and how to create meaningful relationships at Carolina. Prinstein offered advice to the more than 80 percent of incoming students who hope college will provide a fresh start for their social reputations, encouraging them to build rapport with their peers through active listening. 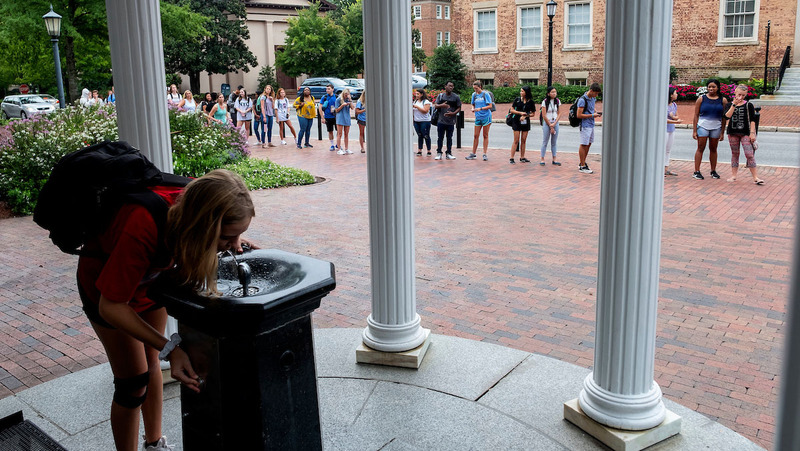 As incoming students begin a new chapter at UNC-Chapel Hill, Prinstein encouraged them to approach their relationships with a focus on likability over status and to build relationships offline — not just on social media. 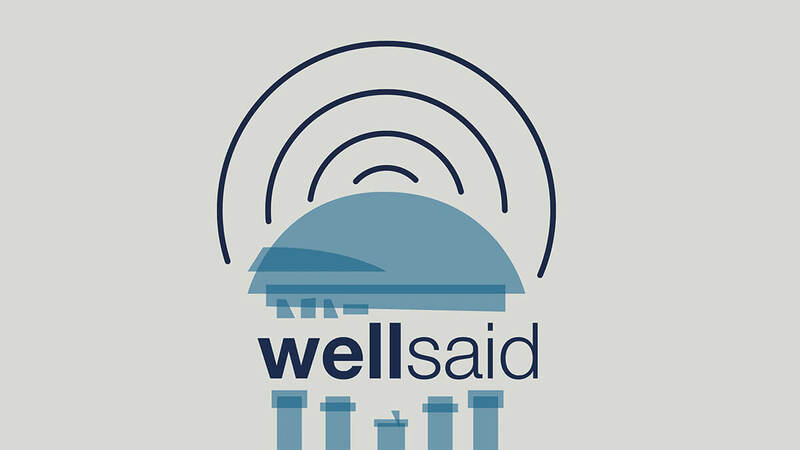 In this week's podcast, Mitch Prinstein discusses his research on popularity, explains the different forms of popularity and why it doesn’t always pay to be the most popular. Tradition says that a sip from the Old Well brings good luck, but where did the legend come from? University Archivist Nicholas Graham reveals the origins of the “first sip” and its impact on campus today.